My cousin Lisa and I have spent the last 2 1/2 years talking about hiking the AT. When we both started hiking together, we would only bring water with us and maybe a snack. 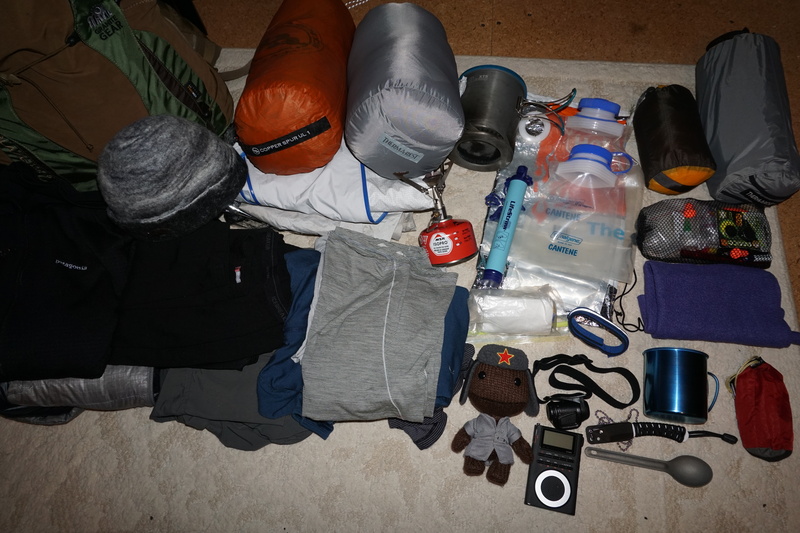 After we had hiked a few of the trails around a 60 mile radius from where we live, we decided we were up for more challenging terrain So off to the North Shore of Lake Superior we headed with what gear we could gather and a few purchases. We have learned a lot in a short amount of time about gear and hikers. In the beginning we would pass hikers with backpacks and wonder why they were so grumpy while we blissfully, with no gear, basically skipping down the trail. 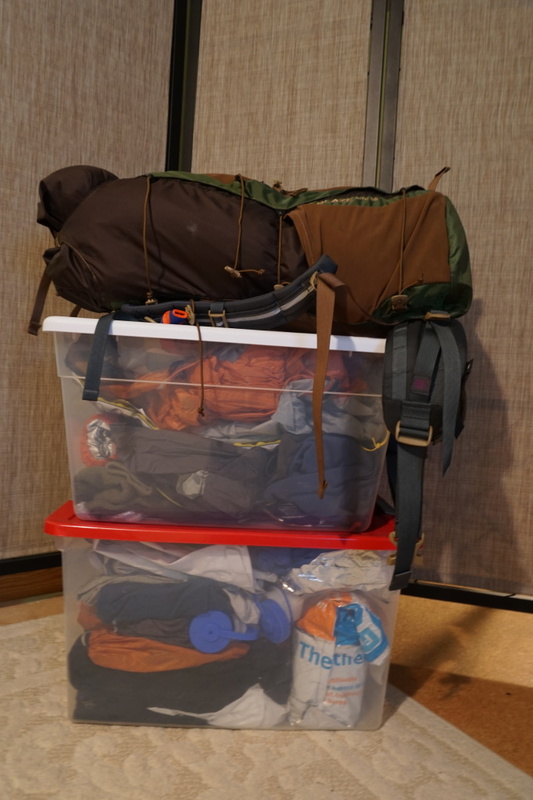 As our hiking and camping skills increased, so did the gear load. At one point Lisa said to me, “What are we doing? 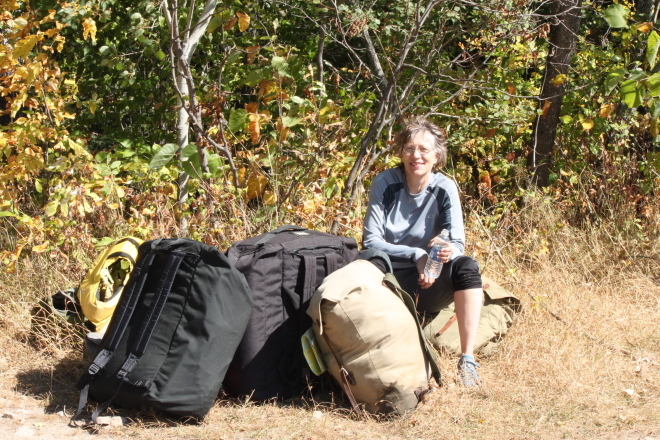 We don’t even like backpacking!” Okay, so maybe she has said it more than once. And really, who in their right mind would actually want to load up your life into a sack and carry it around on your back for 6 months and 2185 approximate miles? We have tried to challenge ourselves these past 6 months in Minnesota. I know what you are thinking. How can one be challenged when your average elevation is 1400-1500 feet. I will say it in one word, NATURE! We have hiked in flash floods, thunder and lightening storms and attacked by an angry momma grouse who was protecting her broods. We have been rained on every trip except for 2. Of course, we also had rocks to trip over, snow, and wind. Yet, with all of these challenges of nature in Minnesota, we know that we will still be out of our element. We both know we are far from ready to climb Mount Everest 16 times. But we are still going and yes those around us are either supporting us or calling us crazy. We just laugh maniacally when we talk about it on the trail. We are now at the point of checking our pack weight over and over and over. In the next 82 days will be looking at ways to still reduce our pack weight even if it means throwing out 3 fish hooks like Lisa did and me cutting off straps on my pack and shortening toothbrush handles. Lisa has been busy looking at recipes and meal plans and after Christmas we will be dehydrating food for a few mail drops as we count down the days to our departure. So, I bet your wondering what kind of gear I ended up with, so here it goes. The Big Three: backpack-Granite Gear Blaze A.C. 60L, sleeping bag-Thermarest Mira 15 degree, sleeping pad-Thermarest-NeoAir, pillow-Exped Air Pillow, Bag liner-Sea to Summit, tent-Big Agnes Copper UL1, rain fly-emergency blanket. Kitchen: stove-MSR Pocket Rocket, pot-Olicamp XTS, spoon-Sea To Summit, Cup-snow*peak titanium 450, water drops-Aqua Mira and a LifeStraw, water container-Nalgene 32oz. and 96 oz., homemade thermal sleeve and bear rope. Clothes: Hiking Pants-Cabela’s Zip-Off, rain jacket-Marmut rain pants-Patagonia, jacket-Brook’s Range, wool shirt-Ibex hoodie, wool t-shirt-smartwool and Patagonia, Fleece hoodie-Patagonia R1 (ebay-used), handmade wool hat, long underwear-Cuddl Duds. Sleepwear: Icebreaker long underwear, socks, shirt-Cuddl Duds. Foot wear: hiking poles-Komperdell, dirty girl gaiters, boots-Keen (yet to be purchased), Darn Tough and Smartwool socks. Misc: towel-Pack Towel (cut in half), Knife, cellphone, radio, headlamp-Black Diamond, Journal and pen, traveling companion-Yuri. Luxury Item: camera-Sony a6000 so I can blog and have a photo exhibit when I return(bought and borrowed from work, Minnesota Discovery Center in Chisholm Minnesota). I am currently carrying half this load while giving snowshoeing tours twice a week at work. Most of the clothes I will be wearing when we head out in March. My husband Tom will be dropping us off and hanging around for the first week and then a few weeks later will look us up to see what else we need to get rid of before he heads back home to Minnesota. If anyone can give us a heads up about hiking at higher elevations especially temperatures, stoves and wind it would be greatly appreciated. If only I could keep those pillows in my pack instead of all the gear below it.